Kevin Maurice Garnett nicknamed "KG", is an American professional basketball player who currently plays as a power forward and center for the Boston Celtics of the National Basketball Association (NBA). He was named Mr. Basketball for the State of Illinois after averaging 25.2 points, 17.9 rebounds, 6.7 assists and 6.5 blocks while shooting 66.8% from the field. He was named the Most Outstanding Player at the McDonald's All-American Game after registering 18 points, 11 rebounds, 4 assists and 3 blocked shots, and then declared himself eligible for the 1995 NBA Draft. To mark the 35th anniversary of the McDonald’s All American High School Boys Basketball Game, Garnett was honored as one of 35 Greatest McDonald's All Americans. 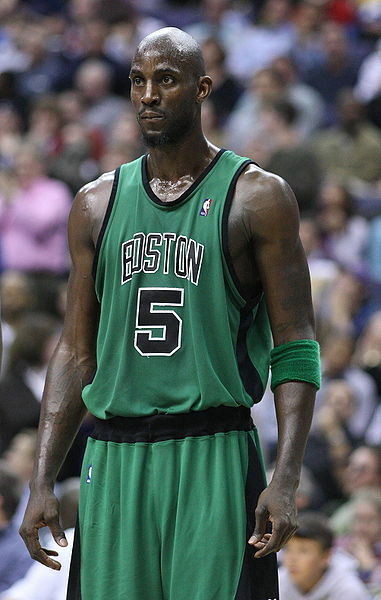 Garnett was drafted with the fifth pick of the 1995 NBA Draft by the struggling Minnesota Timberwolves, and became the first player to be drafted directly out of high school since 1975. During the 1997–98 NBA season, the Timberwolves and Garnett agreed on a six-year contract extension. Garnett made an immediate impact with the Minnesota Timberwolves leading them to eight-consecutive playoff appearances. In 2004, Garnett led the Timberwolves to the Western Conference Finals and won the NBA Most Valuable Player Award. Since his second season in the NBA, Garnett has been named to 14 All-Star Games, winning the All-Star MVP award in 2003, and is currently tied for 3rd-most All-Star selections in NBA history. He was awarded the regular season's NBA Defensive Player of the Year in the 2007–08 season and has been a nine-time member of the All-NBA Teams selection and a twelve-time member of the All-Defensive Teams selection. 4 NBA scandals you don't know about!